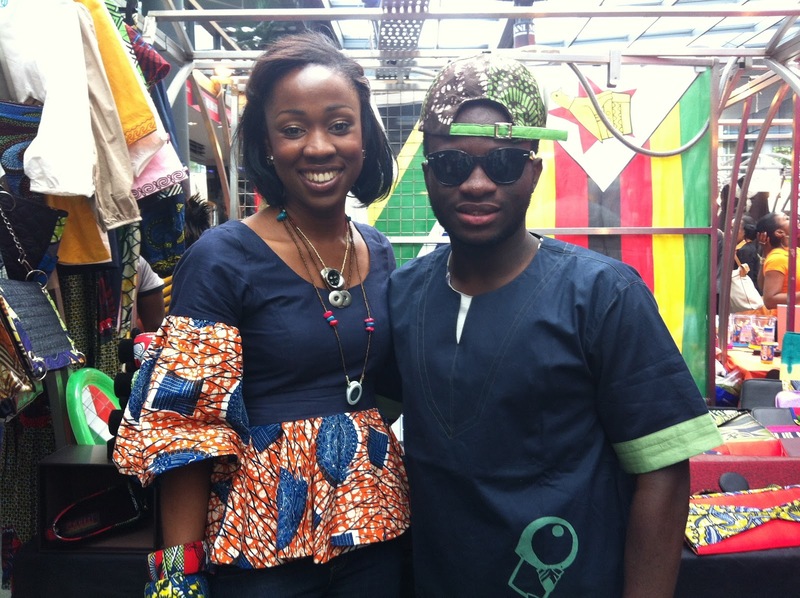 This weekend, Diane and I wandered down to Africa Fashion Week London 2012 (AFWL) to check out fresh talent and design from the continent; this year held in and around London's Spitalfields market. We had no idea what to expect and had prepared by pre-purchasing x2 Standard tickets (£7 each). On arrival, we couldn't help but notice an array of fabulously dressed people in african print dresses, skirts, suits, headscarfs, bags, shoes... Africa and its bustling market vibes had landed in central London and we were surrounded by colourf, the smell of delicious food, excited chattering voices and cameras flashing left right centre. Luckily, we are both quite relaxed so squeezing through the crowds wasn't daunting. After picking up our free goodie bags (included fashion magazines and 10% off stall prices), we wandered through the stalls to see what was on offer and looked out for our next purchases! I managed to bag myself some lovely necklaces (photo below) designed by Annesi. We met some very talented designers and they left us feeling very inspired - both to learn more about African fashion and on how to incorporate it into Western fashion. Next stop, purchase some print and get designing. An outfit to go with my new necklaces is tempting... watch this space! 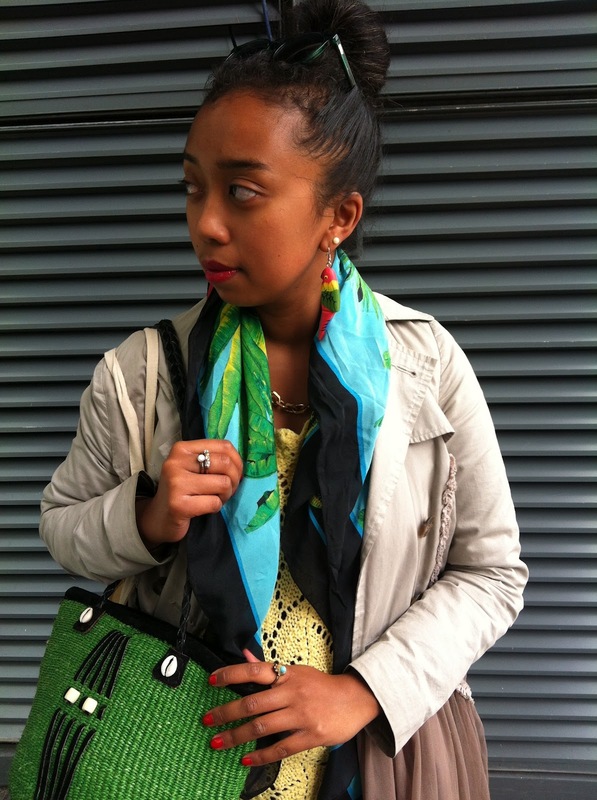 "my snaps from AFWL 2012"
We met this lovely lady promoting her friend aphropolitan's gorgeous bag! Esi of Annesi with another happy customer! more photos of you looking fabulous please!